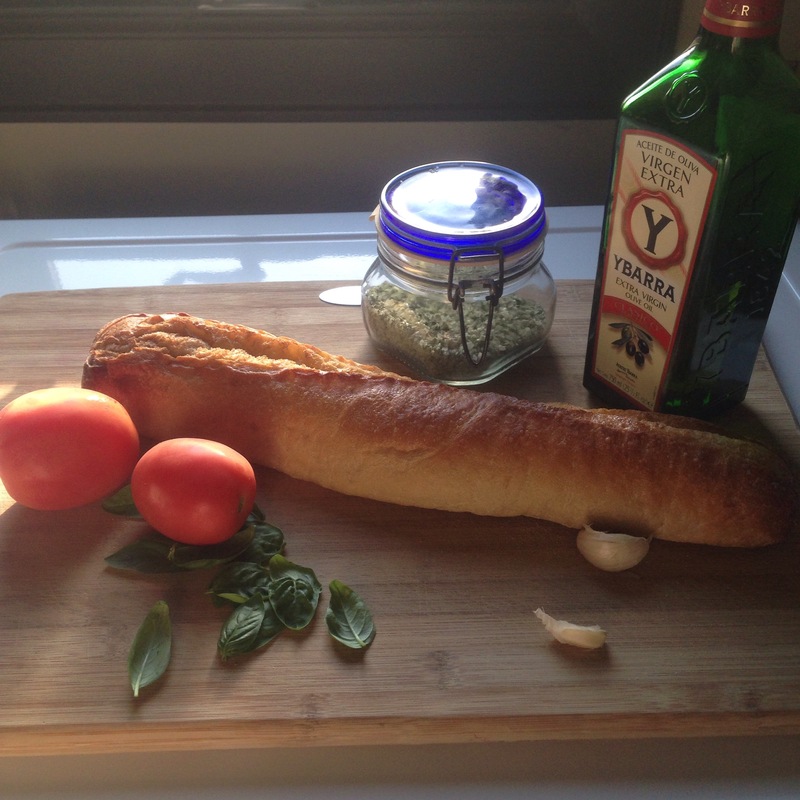 Today, I was inspired by our loaf of just stale bread- what’s the best way to get flavor and enjoyment out of something that I’d normally just throw away? 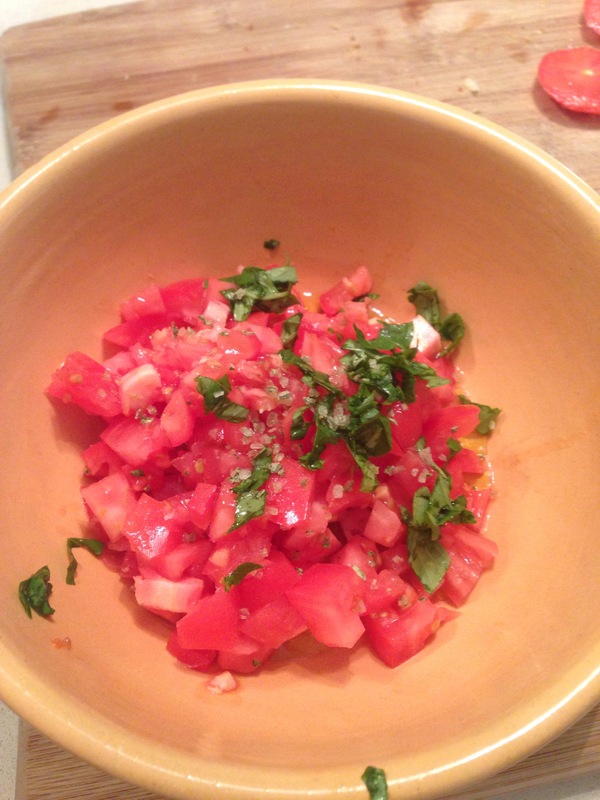 The answer came to me as bruschetta, topped with tomatoes. According to my research, bruschetta actually only refers to the toast, often flavored with garlic, olive oil, and salt. Any toppings aren’t part of the actual bruschetta. I started out by slicing my bread and spreading it lightly on either side with some good olive oil before placing it in a metal tray to toast in the oven. While I baked the bread until browned and crispy, I prepared my tomato topping, mixing two diced tomatoes, some olive oil, chopped fresh basil, and a little bit of salt and ground black pepper. 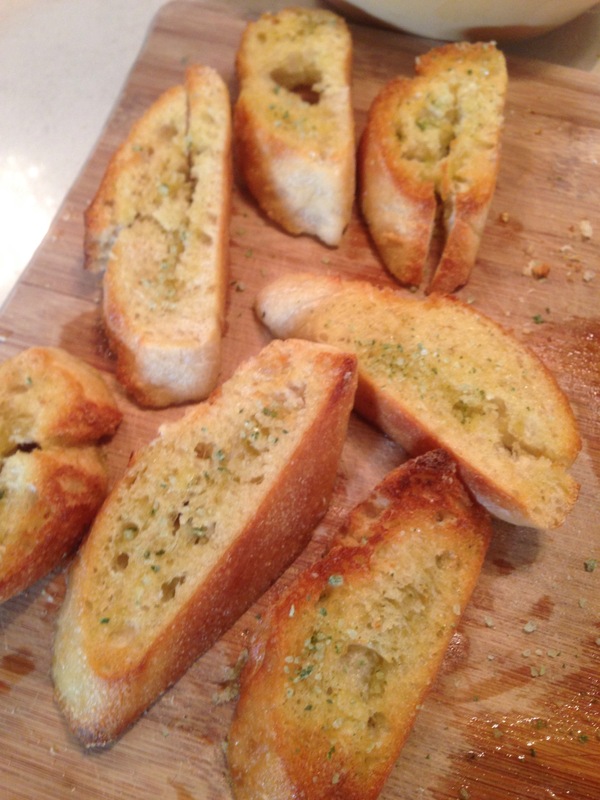 With the bread out of the oven, I cut a few cloves of garlic in half and rubbed them on the surface of the toast, finishing with a sprinkle of salt (I used my basil salt from a month or so ago). Finally, I topped the slices with heaping portions of the tomatoes. 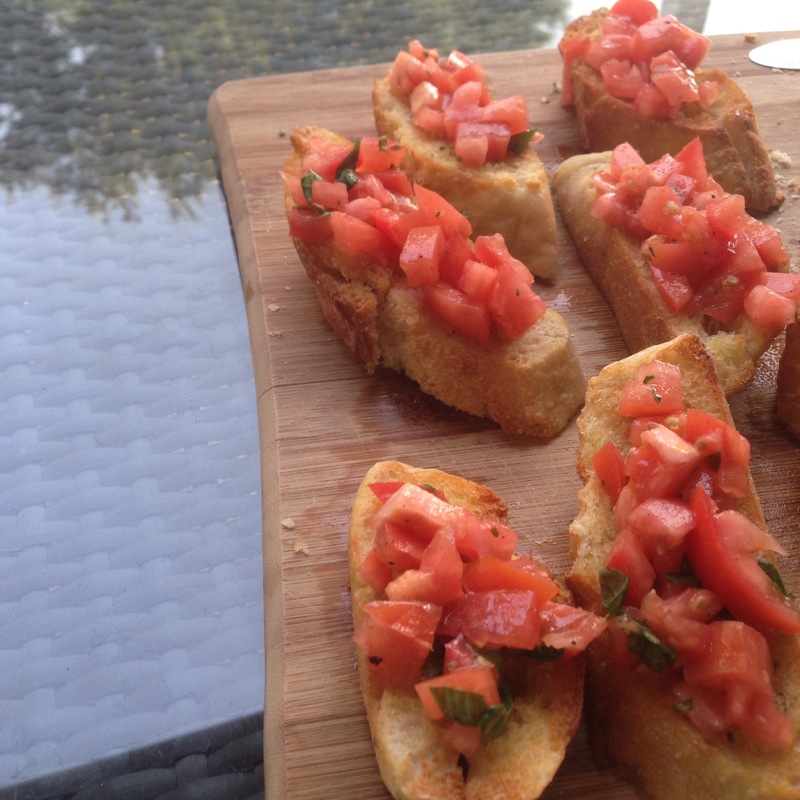 I love bruschetta because it’s fresh and a bright, fun side, not to mention that it is actually improved by the use of the stale bread (it stays crisp), which seems an interesting little irony to me. Bruschetta is so simple and kind of humble in a weird sense of the word, but at the same time feels elegant and refined. That’s the kind of cooking that makes me excited. Might have to put this together right now at my Wine Bar. I was wondering what I was going to eat for lunch ha ha!